PhD in Management, Sri Krishnadevaraya University, India 2010. M.Phil in Business Administration, Annamalai University, India 2006. Master of Business Administration (MBA), Allahabad Agricultural Institute Deemed University, India, 2005. Master of Human Resource Management (MHRM), Sri Venkateswara University, India, 2001. Post Graduate Diploma in International Airlines Management (PGDIAM), All India Institute of Management Studies, India, 2007. Post Graduate Diploma in Computer Applications (PGDCA), Annamalai University, India, 2008. October 2013 - Present: College of Business Administration, Kingdom University, Bahrain. February 2011 - September 2013: Professor, Department of MBA & Research Center, East West Institute of Technology, Bangalore, Visvesvaraya Technological University, India. September 2008 - August 2010: Assistant Professor, Administrative Management College, Bangalore University, Bangalore, India. January 2004 - May 2007: Lecturer & Computer Programmer, School of Management & School of Education Karnataka State Women University, India. June 2001 - December 2003: Assistant Human Resources Manager, Siva Shakti Dairy Pvt Ltd, India. February 2011 - September 2013: Head, Department of MBA & Research Center, East West Institute of Technology, India. February 2012 - September 2013: Research Director, Department of MBA & Research Center, East West Institute of Technology, Bangalore, Visvesvaraya Technological University, India. Dr Nishad Nawaz., (2017), A Comprehensive Literature Review of the Digital HR Research, Filed Information and Knowledge Management www.iiste.org, Vol.7, No.4, 2017 ISSN 2224-5758 (Paper) ISSN 2224-896X (Online). Dr Nishad Nawaz & Dr Anjali Marry Gomes, (2017) Human Resource Information System: A Review of Previous Studies, Journal of Management Research, ISSN 1941-899X, 2017, Vol. 9, No. 3, doi:10.5296/jmr.v9i3.11488 URL: https://doi.org/10.5296/jmr.v9i3.11488. Dr Nishad Nawaz Research Writing Resources, (2017), Research Gate, Technical Report · July 2017, DOI: 10.13140/RG.2.2.33219.50724. 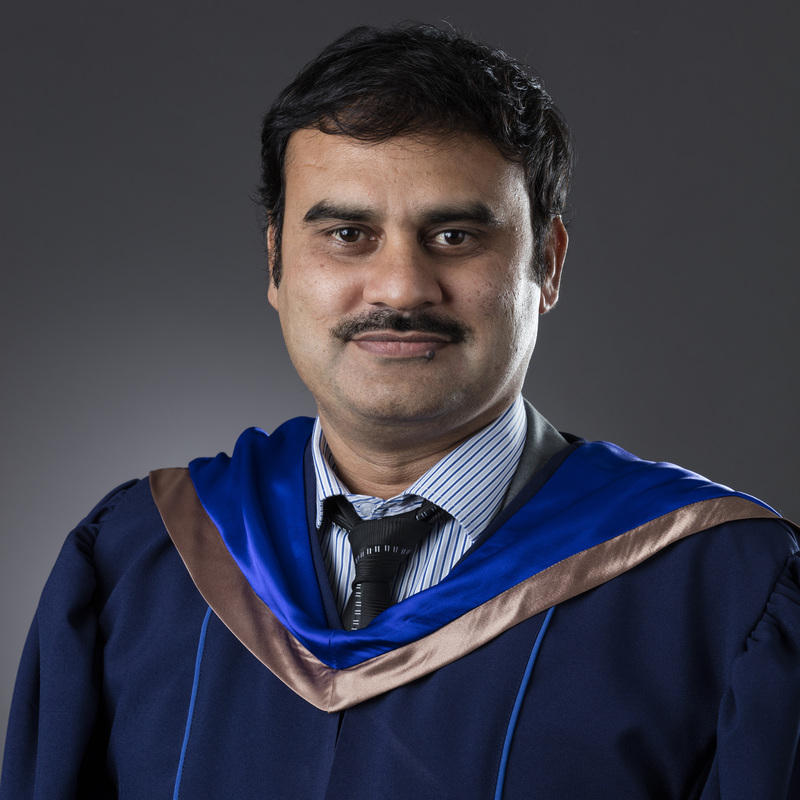 Dr Nishad Nawaz & Dr Anjali Marry Gomes, An Empirical Study on Social Competence in Relation to Emotional Intelligence in Bahrain, (July 25, 2015), Academic Research Centre of Canada, ISSNs:1929-0128 (Print); 1929-0136 (Online), Page No 57-68. Dr Nishad Nawaz & Dr Anjali Marry Gomes An Empirical Study on Personal Competence in Relation to Emotional Intelligence in Bahrain,(June 25, 2015). http://mos.sciedupress.com Management and Organizational Studies Vol. 2, No. 3; 2015, Published by Sciedu Press 1 ISSN 2330-5495 E-ISSN 2330-5509, URL: http://dx.doi.org/10.5430/mos.v2n3p1. Dr Nishad Nawaz, An Empirical study on Employee Competence in relation to Emotional Intelligence in Bahrain, (2015), International Journal of Economics, Commerce and Management United Kingdom Vol. III, Issue 5, May 2015, Page 1555-1568,ISSN 2348 0386. Dr Nishad Nawaz., and Ms Wafa Yaqoob Ali Alajmi,(2014) "A Study on Consumer Preferences for E Shopping with reference to Bahraini Consumers", European Journal of Business and Management, Page No 187-196, Vol.6, No.29, ISSN 2222-1905 (Paper) ISSN 2222-2839 (Online),UK. Dr Nishad Nawaz, (2014), "Talent Management System : A Critical Review", Proceedings of National Conference On Recent Trends in Management (NCRTM-2014), August 2014, Page No 134-137, ISBN : 978-93-5174-379-8,India. Dr Nishad Nawaz., & Dr Anjali Mary Gomes, (2014),"An Effective Teaching Pedagogy in Changing Business Education", Journal of Education and Practice, ISSN 2222-1735 (Paper) ISSN 2222-288X (Online) Vol.5, No.19,UK. Dr Nishad Nawaz., (2014), "HRIS as a tool for effective Decision Making in select software companies in Bangalore", International Journal of Business and Management Review, Published by European Centre for Research Training and Development, Vol.2, No.1, pp. 90-107, ISSN: 2052-6393(Print), ISSN: 2052-6407(Online), UK. Dr Nishad Nawaz., and Dr Anjali Mary Gomes, (2014), "Review of Knowledge Management in Higher Education Institutions", European Journal of Business and Management, Vol.6, No.7, ISSN 2222-1905 (Paper) ISSN 2222-2839 (Online),UK. Dr Nishad Nawaz., and Dr Anjali Mary Gomes, (2014), "Automation of the HR functions enhance the professional efficiency of the HR Professionals-A Review", International Journal of Management, IT and Engineering, Volume 4, Issue 2 Page Numbers 364-373, ISSN: 2249-0558,USA. Dr Nishad Nawaz, and Dr Anjali Mary Gomes, (2014), "To assess the level of employee satisfaction on HRIS usage in select software companies in Bangalore Karnataka, India", Journal of Elixir Human Resource Management, Page Numbers 20438-20441, ISSN 2229-712X,USA. Dr Nishad Nawaz, (2013), "The usage of human resource information systems in HR processes in select software companies in Bangalore City India", Journal of Information and Knowledge Management, Vol.3, No.12, ISSN 2224-5758 (Paper) ISSN 2224-896X (Online), UK. Dr Nishad Nawaz, and Dr B Krishna Reddy, (2013), "Role of Employability Skills in Management Education: A Review, Zenith International Journal of Business Economics & Management Research, Vol.3 (8), ISSN 2249-8826,India. Dr Nishad Nawaz., and P V Pavan Kumar, (2013), "Global Financial Meltdown (GFM) and it’s Impact on Employment", Asia Pacific Journal of Research, Volume-2 Issue-4, ISSN-2320-5504, India. Dr Nishad Nawaz., and Mr Sudindra V R, (2013), "A Study on various forms of Gold investments", Asia Pacific Journal of Research, Volume-2 Issue-4, ISSN-2320-5504, India. Dr Nishad Nawaz., and Dippi Verma, (2013), "Economic Value Added: A General Prospect", Asia Pacific Journal of Research, Volume-2 Issue-4, ISSN-2320-5504, India. Dr Nishad Nawaz., and Prathibha D, (2013), "Role of Talent Management importance in any organization", Asia Pacific Journal of Research, Volume-2 Issue-4, ISSN-2320-5504, India. Dr Nishad Nawaz., and Dr K Channakeshavalu, (2013), "The Impact of Enterprise Resource Planning Systems Implementation on Business Performance", Asia Pacific Journal of Research,Volume-2 Issue-4, ISSN-2320-5504, India. Dr Nishad Nawaz,(2013), "Impact of Talent Mobility on employee performance in software companies, Bangalore", The International Journal of Management, Vol 2 Issue 1, ISSN 2277-5846, India. Dr Nishad Nawaz, (2013), "Human Resource Information Systems-A Review", International Journal of Management, IT and Engineering, Volume 3, Issue 1 ISSN: 2249-0558, India. Dr Nishad Nawaz, (2012), "To assess the Impact of HRIS in Facilitating Information Flow among the select Software Companies in Bangalore, India", Research Journal of Management Sciences, Vol. 1(3), Page No 1-8, ISSN 2319-1171, India. Dr Nishad Nawaz, (2012), "Time & Cost Savings Advantages With Usage of HRIS In Select Software Companies In Bangalore City, Indian", Journal of Applied Research, Vol 1 Issue 12, Page No 161-163, ISSN-2249-555X, India.